Fortunately, you could buy beer on the sidewalk. 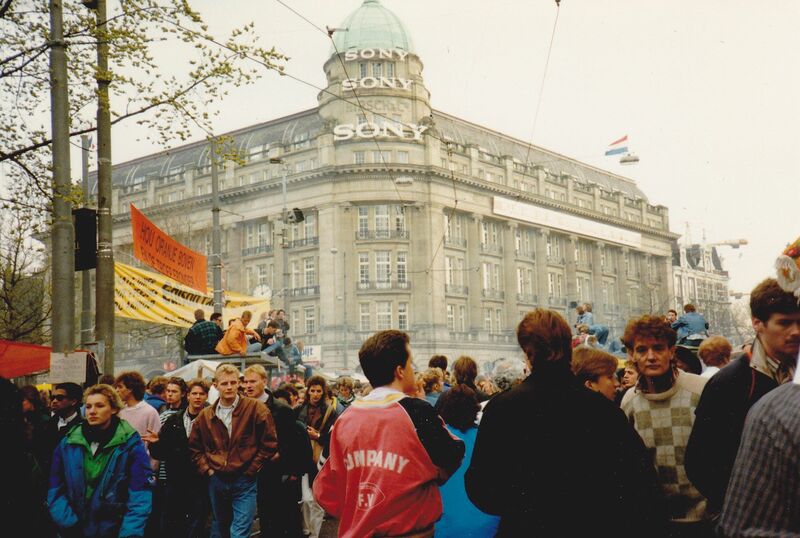 With our cans of Heineken, we hung out at Dam Square where partiers sang, danced, cheered, rode mini carnival rides and fell down in the streets. The Queen must be a great sport since the flaming hair, drinking, carousing and yelling seemed more appropriate for a soccer match. Certainly, the elaborate, frilly ladylike hats and matching clutches remained in Britain and at the Kentucky Derby that day. “Geez, how is Queen Bea’s carriage going to get through this crowd?” I asked Andy, one of my friends who was scanning the crowd. It became evident early on, however, that this wasn’t as much about the monarchy. And actually it wasn’t initially about Queen Beatrix. 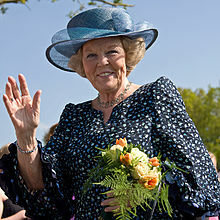 Indeed, originally established to celebrate former Queen Juliana’s birthday, the tradition of Koninginnedag was passed on to recognize Beatrix, Juliana’s daughter and the current Dutch queen. Since, Beatrix’s birthday is in January, a brutal weather month in Holland for outdoor festivities, she decided the national holiday should remain in April. You have to love how practical the Dutch are. This queen’s birthday was turning into a royal rager. We wandered, joining the giant centipede of people, checking everything out. 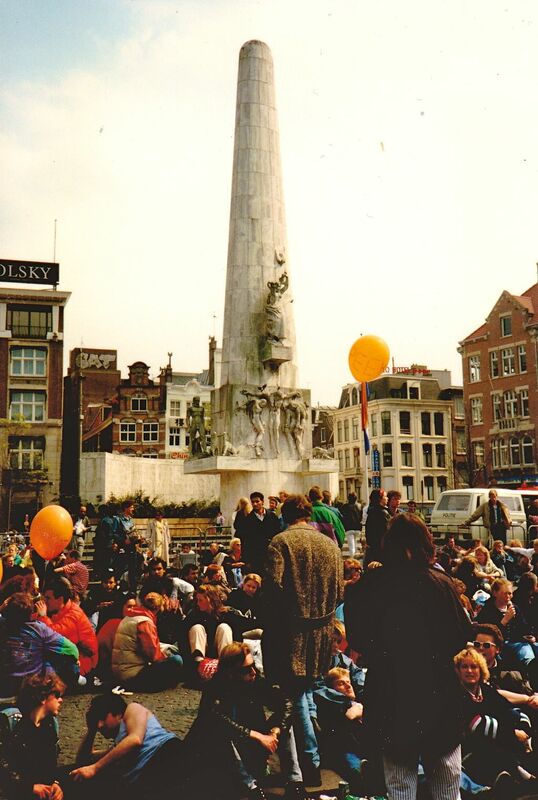 At one point, Leidseplein, was one big outdoor dance hall with live music. Get to know them we did. 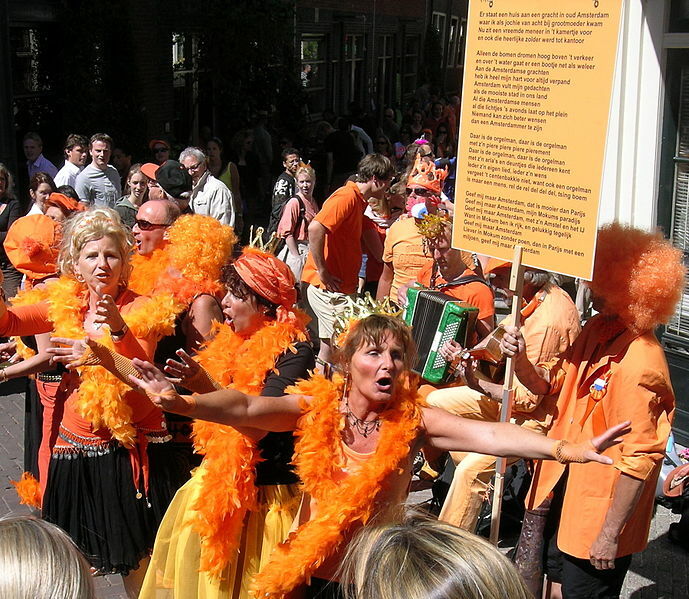 In fact, singing “Nederland! O Nederland,” I hugged numerous randoms that day. A bit later, Leah, Amy and I were shimmying in a conga line with three Dutch guys when one of them turned, grabbed me and kissed me full on. In return, I snatched his orange scarf. 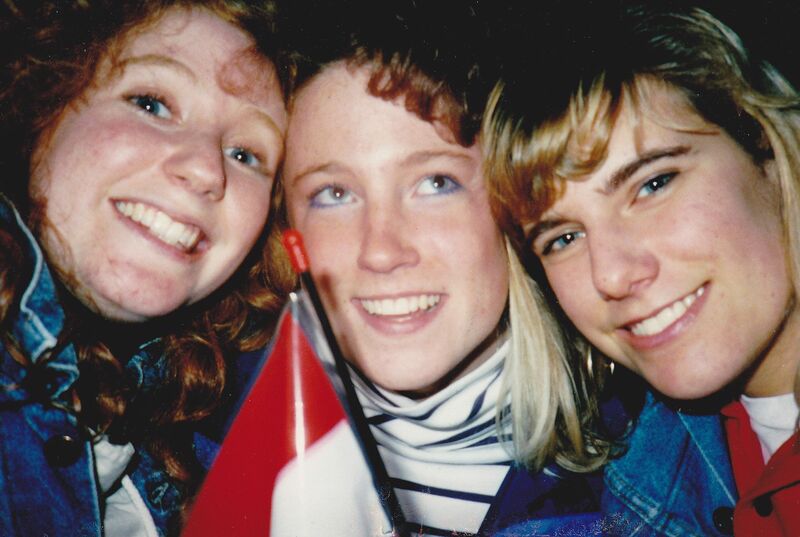 At some point, somebody had handed me the national flag, so indeed, by then, I felt very Dutch. In fact, I felt confident enough to start speaking my very rough Dutch. It was a habit. 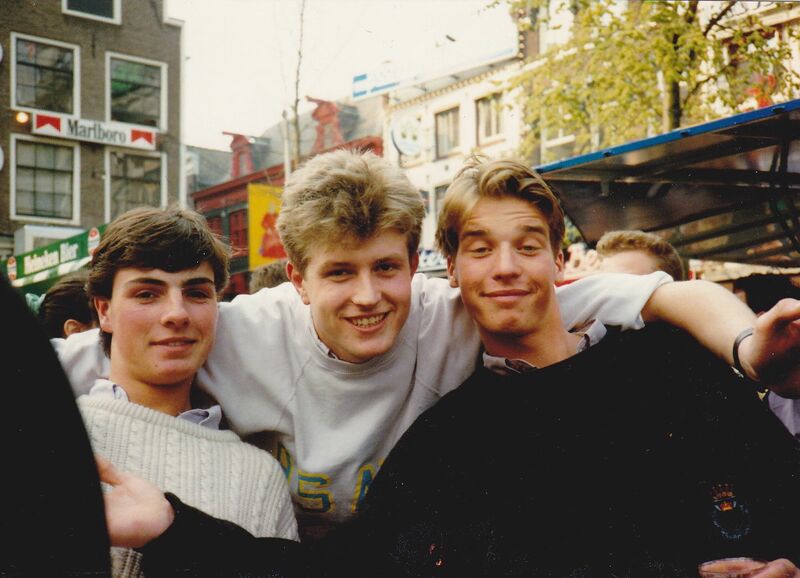 When we all went out in Leiden and consumed a few beers, the linguistic litany began. I had a tendency to ask people where they lived. “Waar woon jij?” It was very easy since it was similar to English. Once, at a party, I asked this beautiful man, Hans, where he lived five times. I’d like to think it wasn’t all at once like that. If anyone could help me, they could. Certainly amused at first, these revelers began to make me their project. With their tutelage, over and over I tried to say it. Finally, upon the verge of complete exasperation, I did it. Koinginnedag was my “Rain in Spain Falls Mainly on the Plain.” I said it correctly once. But I was proud, and I was Dutch for the day. 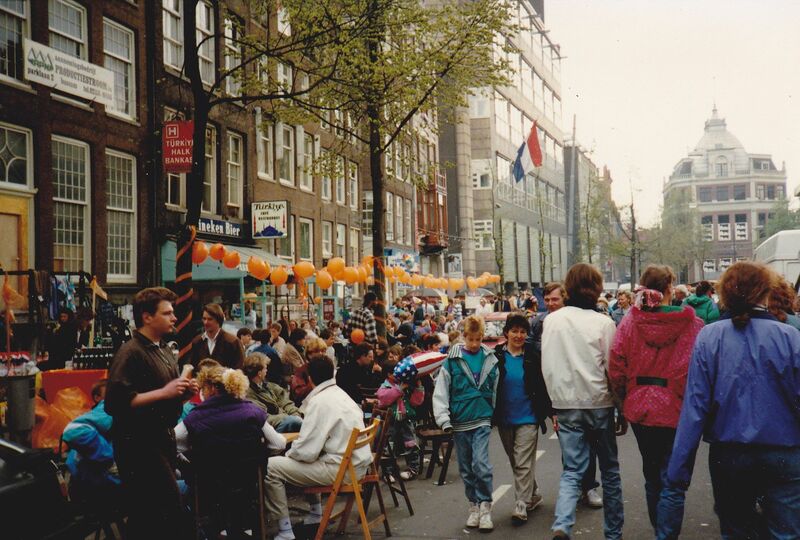 This entry was posted in Culture, Europe, Festivals, Language, The Netherlands, Travel, Travel Oops, Uncategorized and tagged Amsterdam, Koninginnedag, party, Queen's Day by stephglaser. Bookmark the permalink. Thanks, Hayley — it was very cultural albeit a bit fuzzy. 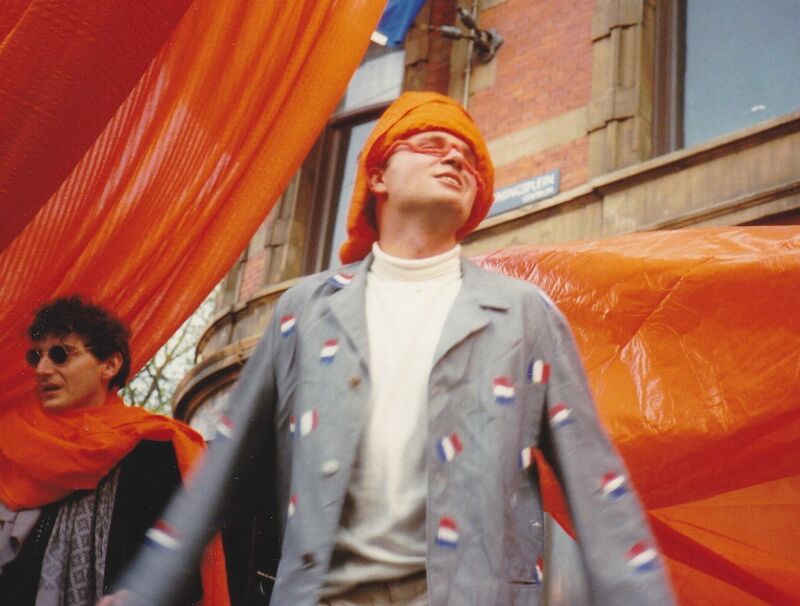 This is a special day for the Dutch so I was happy to be a part of it! I’m SO proud of you even attempting to speak Dutch. My Mother was Dutch, and she tried and failed to teach me, I just howled with laughter at the guttural sounds. Yo this day I can only speak 2 words – both of which are unsuitable to write on a family friendly blog. It’s funny, Julie, because I never became fluent — too hard to practice since the Dutch all speak English and they’d prefer to use it when talking to a total novice in Dutch like me. Although I never got too far with Dutch, I do like it because some of the syntax is the same as English. I definitely can identify it immediately if I hear it being spoken. oh, nice! 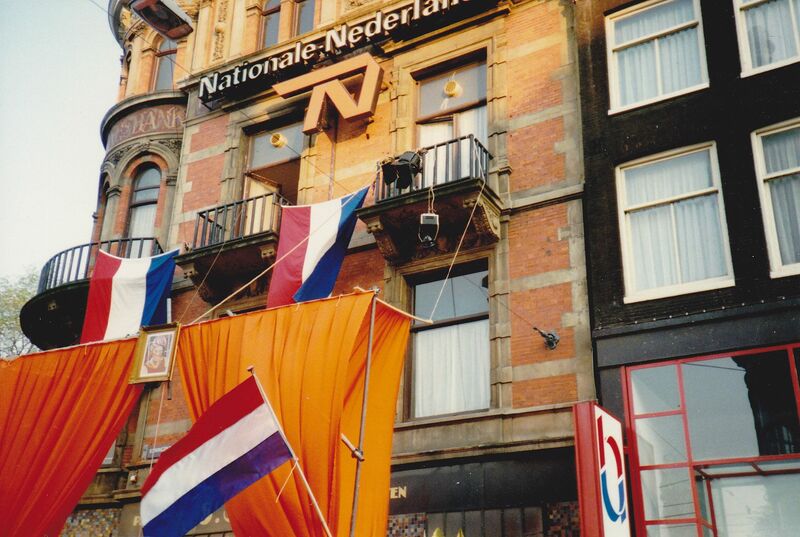 my A’Dam experience was not quite like that…and this makes me want to go back!